Ramen and Asian Cuisine at Chibiscus in Hollywood, Los Angeles – JCB International Credit Card CO., LTD.
Chibiscus Asian Café in Los Angeles offers a great selection of items on their menu. 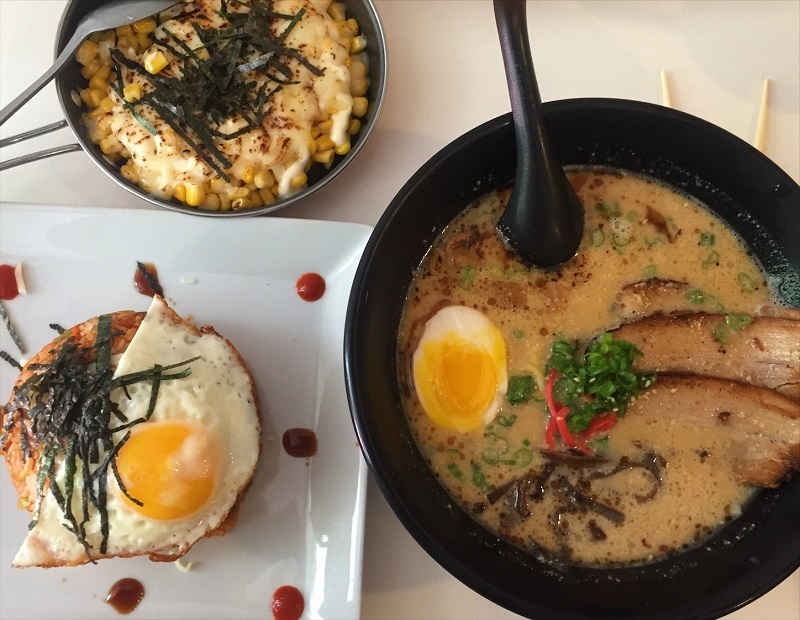 What makes them stand out is their outstanding ramen offering, especially the tonkotsu flavor. This relatively small café near the heart of Hollywood is a popular lunch spot for locals as well as people working in the area. In addition to their ramen, they offer a variety of other Asian dishes including kimchi fried rice and spicy tuna hand rolls. If you are craving to complete your meal with dessert, try their brick toast, a popular dessert created in Japan made up of toasted thickly sliced bread topped with melted butter, honey, ice cream and fruits. Due to the popularity and size of the restaurant it gets really busy especially at lunch time so plan ahead if you are short on time. The JCB card is accepted at Chibiscus Asian Café in Hollywood!